If you have decided that you want to complete an adoption in the U.S., congratulations — you are one step closer to adding to your family! Adoption is a loving way to build a family. However, there are a few more critical decisions you’ll need to make before you can complete a domestic adoption in North Carolina. Even though you have narrowed down your adoption location to the United States, you will still need to choose from several different American adoption processes to find the one that’s right for you. Not every domestic adoption process is right for every family, and finding the best one for your situation is what will ensure a successful adoption for all involved. If you are deciding how to pursue an adoption in the U.S., the Parker Herring Law Group PLLC can help. Our adoption attorneys are experienced in several different adoption processes and can provide the guidance and information you need to help you make the best decision for your family. From beginning to end, the attorneys at the Parker Herring Law Group PLLC will assist with your domestic adoption in North Carolina. To learn more about the different adoption processes and ask any questions you may have, please call our law firm at 919-821-1860 or contact us online today. Keep reading to find out more about the different domestic adoption processes you may pursue in North Carolina and the United States as a whole. In general, there are a few different paths that hopeful adoptive families can take if they wish to pursue an adoption in the United States. While each adoption will be unique based on the adoption goals and preferences of each family, here are basic explanations of the different adoption paths your family can take. One of the most popular ways of adopting in the U.S. is through private domestic infant adoption. This is a method in which a pregnant woman makes an adoption plan for her unborn child to give them the life she can’t provide herself. After a woman chooses a family with whom to place her baby, there is usually pre-placement and post-placement contact, and both parties to the adoption pursue an open adoption relationship. However, there are situations where prospective birth mothers wish to have no contact with an adoptive family, as well. For many Americans who wish to adopt a baby, a private domestic infant adoption is the best path toward reaching their parenthood goals. There are a couple of different ways a family can go about a private infant adoption in the U.S. (discussed below), and the adoption attorneys at the Parker Herring Law Group PLLC can offer education and advice to help hopeful parents find the best path for them. Another method of completing a domestic adoption is through a foster care adoption. This involves the adoption of typically older children from the North Carolina foster care system through a state agency or a foster care adoption agency. For families who are willing to adopt older children with special needs, foster care adoption is a relatively quick and affordable way to grow a family. In North Carolina, NC Kids is a good resource for adopting children who have been in the social services system. For those who decide on a private domestic infant adoption in North Carolina or another state, there is another important decision they’ll need to make: whether they wish to work with an adoption agency or complete an independent adoption. 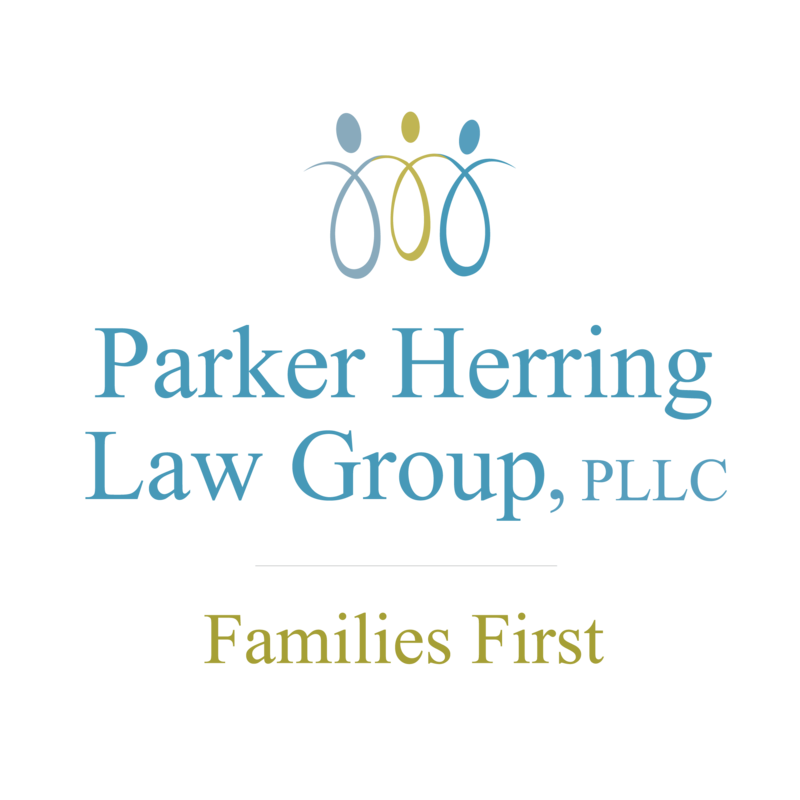 At the Parker Herring Law Group PLLC, our attorneys can assist families who choose either an independent adoption (often called a “private adoption”) or an adoption where the adoptive parents are matched through a facilitator or an adoption agency. For those families who find a prospective birth mother independently, we suggest that prospective adoptive parents consult as early in the process as possible to make sure that a home study is done in an expedient and timely manner and that medical records are obtained and counseling is set up. In North Carolina, birth fathers can sign their consent before the baby is born, so an attorney can help reach out and obtain a birth father’s permission for the adoption to proceed, as well as any necessary DNA. Our attorneys can always provide guidance to help you decide which path is right for you. In general, those who choose an adoption agency are provided professional guidance every step of the way (including in finding an adoption opportunity), while those who complete an independent adoption take responsibility for many aspects of their adoption and have often already found an adoption opportunity. Independent adoptions are “open” under North Carolina law, because in North Carolina, the adoptive parents must at least offer a copy of their home study to the birth mother. When choosing a domestic adoption, prospective adoptive families can either choose to search for an adoption opportunity within their own state or throughout the entire United States. There will be a slightly different legal process whether you are matched with a prospective birth mother in North Carolina or in another state, but our adoption attorneys can represent you through either of these paths. Families who choose to pursue an interstate domestic adoption typically work with national agencies and have a wider net of adoption opportunities, while those who choose to pursue an in-state adoption will work with a local adoption agency. Generally speaking, interstate adoptions are about a third more expensive than in-state adoptions because of the travel costs and the need to stay in the state where the birth mother gives birth until ICPC states that parents can return to their home state. Because two states’ laws must be navigated in this case, a lawyer is needed in each state. Who Chooses Adoption in the U.S.? Often, deciding between an international adoption and a domestic adoption is one of the first decisions that a prospective adoptive family makes in their personal adoption journey. If you are trying to make this decision yourself, there are a few things you should consider to decide if international or domestic adoption is a good fit for you. The first question you should ask yourself is, “It is important to me to adopt a newborn?” If it is important to you to adopt a newborn, then international adoption is not the best choice, because in international adoption, children are generally “older” and never newborns. For some prospective adoptive parents, adopting a newborn is not that important, so international adoption may be a good choice for you. The second question you should ask is, “Do I object to travelling and staying in a foreign country for what can be a few weeks?” If you do object, then domestic adoption might be a better option. In all but one country (Guatemala), children cannot be brought to you; prospective adoptive parents must travel to the country where the child is waiting. Those who choose to adopt a child internationally will typically have no contact with their child’s birth parents and little information about a child’s history. In addition, the international adoption process often takes a great deal longer than an adoption in the U.S. and can be more expensive depending on the length of time you have to stay in the home country Therefore, the people who choose an adoption in the U.S. typically do so because of the wider range of options this path presents. Families can adopt an older child through foster care or an infant through a private adoption, and they have the opportunity to create an open adoption relationship with their child’s birth parents, if they desire. One of the key differences in international and domestic adoption is the fact that, in domestic adoption, you can usually meet the birth parents and stay in touch over the years if you choose. In international adoption, the birthparents are generally not known to the adoptive parents and, oftentimes, babies are abandoned as infants, so little health history is known. Is Domestic Adoption Right for You? If you’re like many prospective adoptive parents and curious about which domestic adoption process may be right for you, proper research is the first step to choosing the best adoption path for your family. Only by fully understanding the pros and cons of each process can you embark on the most successful family-building path possible. The adoption attorneys at the Parker Herring Law Group PLLC can offer education and guidance in your decision-making process, answering any questions and addressing any concerns you may have about domestic adoption in North Carolina. Our law firm has helped hundreds of families grow through private, facilitated and independent adoption, and we can do the same for your family. If you’re looking to adopt in North Carolina today, please contact our attorneys for more information about our local adoption programs. Our adoption attorneys are also available to help you with an interstate adoption.